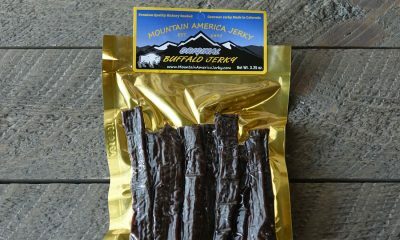 Acclaimed by Backpacker Magazine as a “Thanksgiving Treat”, we think it’s the best Turkey Jerky around. The Original Turkey Jerky is the classic flavor you love: thick sliced turkey breast is marinated in black pepper and brown sugar and hickory smoked to perfection. We use solid strips of turkey breast; no grinding or processing here. 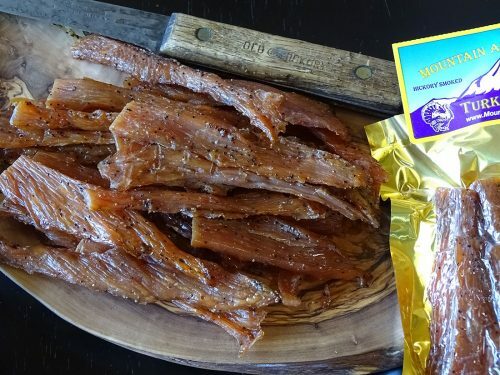 Our Original Turkey Jerky is thick cut, spiced, and hickory smoked daily. It is preservative-free with no MSG, nitrates, or other fillers. 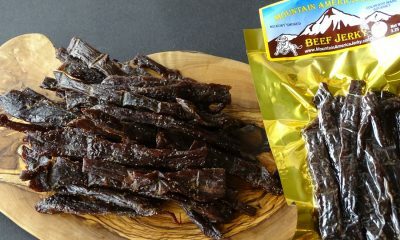 Try some today and discover why this is the best turkey jerky for any occasion. The grandson loves it so much that I haven’t tasted it yet (he promised me that he will save me some when he visits in Dec). This is high quality. I eat it on long bike rides or hikes. I highly recommend it. 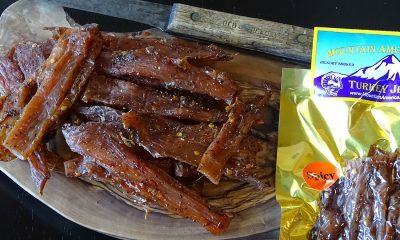 (Original Turkey review) This is without a doubt the BEST jerky I’ve ever had, anywhere! I ordered turkey, beef and salmon and so far it’s just delicious; moist, chewy but not so much your jaw gets tired 🙂 and nicely spiced so it’s lively but not too much for wimps like me. We’ll definitely be ordering more, nothing we’ve bought or tried before was this good. (Original Turkey review) Chuck’s beef, turkey, and ostrich jerky are simply the best I could find in the country. He is very knowledgeable and will send out your order promptly. 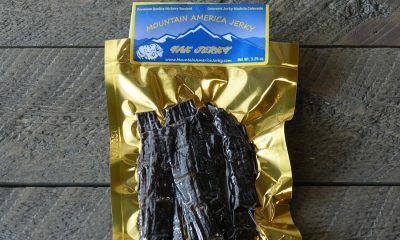 Again, I cannot say enough how tasty Mountain America Jerky is!